Welcome to 2018. We hope you all enjoyed your Christmas & New Year & are looking forward to the year ahead. 2018 has already started with a BANG with the sale of 18 - 30 Vallance Street, St Marys in conjunction with co-agents CBRE Parramatta. After receiving 4 offers. & with interest from local & out of area owner occupiers & investors, the property was eventually secured by a funds management company for $11.2M (excl. GST), a tremendous result for the vendors. 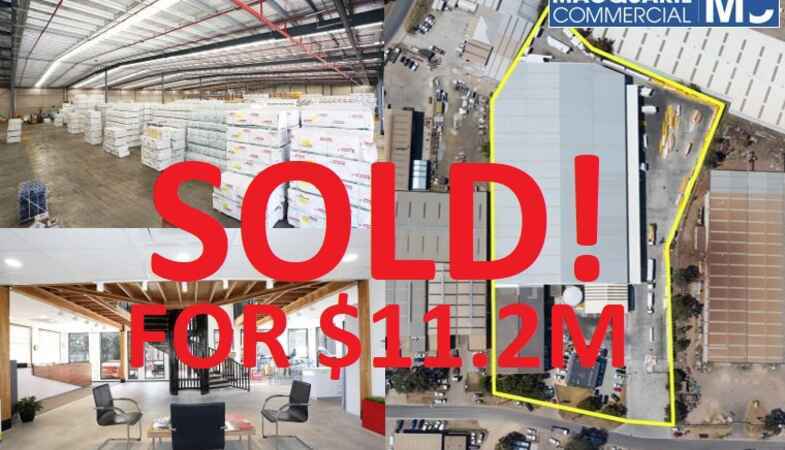 Macquarie Commercial have now been exclusive or co-exclusive agents for the 3 highest sale prices within the St Marys Industrial Precinct over the past 5 years. Our knowledge of the local area & dedication to achieving the optimum result, is ensuring we are achieving unmatched results. For further information on this transaction or if we can assistant you in anyway, please don't hesitate to contact the team.